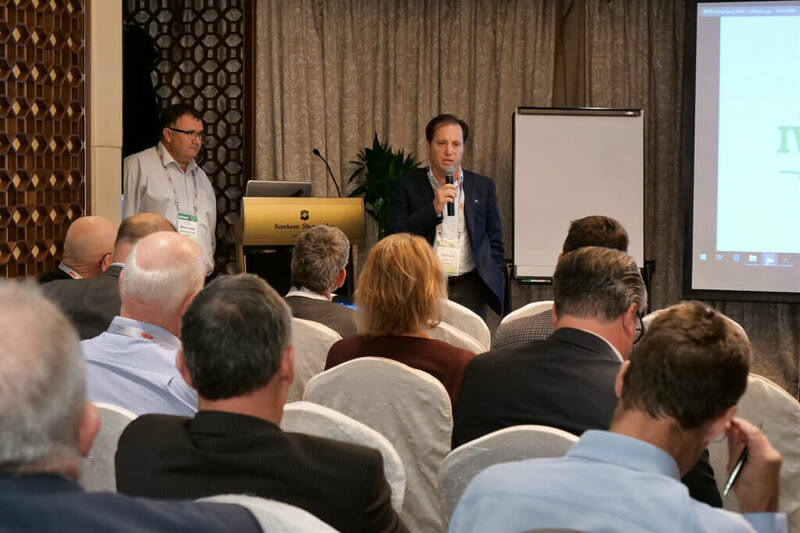 Between 13-16 May 2018, the Fuhrmann and Schneider Group team attended the IWTO Congress 2018 in Hong Kong. The IWTO Congress is organised once per year by the International Wool Textile Organisation representing the international wool growing, trade and manufacturing industry. 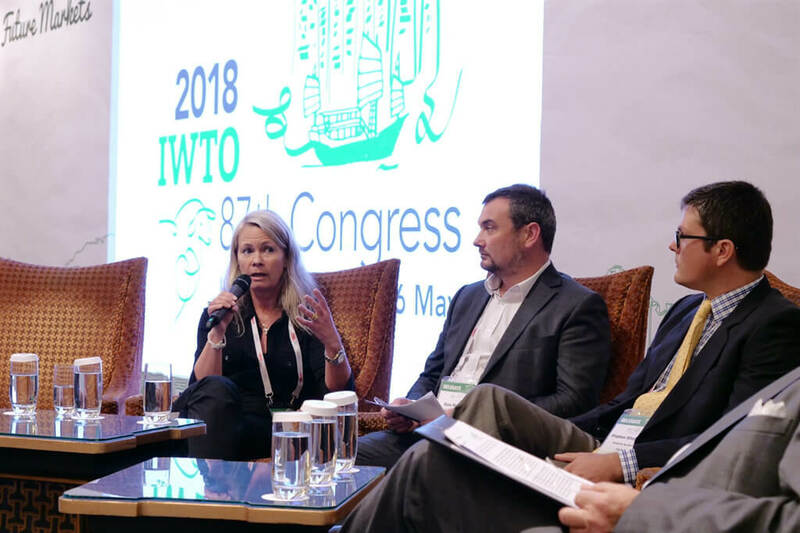 Every year, we make it a priority to attend the IWTO Congress as it is an excellent event to meet with customers, colleagues and even our competitors. This year over 250 international members of the wool industry met to discuss the latest research, market reports, trends and innovations. This year’s theme of the event was ‘Wool for future markets’. On the first day of the meeting, our Managing Director, Marco Gallia, attended the Grower Meeting. This is a forum for all wool grower countries to share updates on sheep and wool production and discuss any new strategies to manage the challenges wool growers face. We were also interested in listening to the talk of Catherine Stange from Devold of Norway. In her speech, Catherine talked about the importance of wool for the Devold brand. 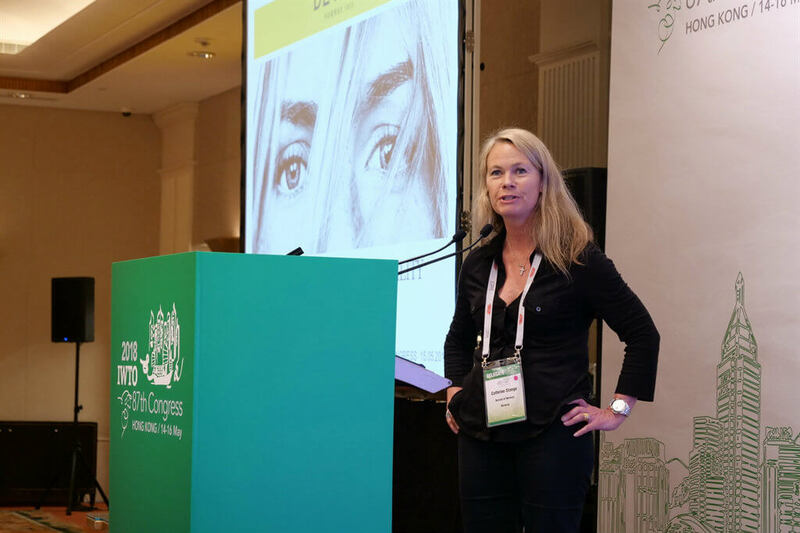 Attendees of her presentation were able to learn about Devold’s latest collaboration to source organic wool from Patagonia in partnership with Fuhrmann. Very exciting was the new research shared by the Woolmark company in the area of health and wellness. The latest research studies prove that superfine merino wool helps dramatically improve skin conditions of patients suffering from atopic dermatitis (eczema). Another study showed, that sleeping in wool helps to fall asleep much quicker (12 minutes) compared to cotton (27 minutes) or polyester (22 minutes). These kinds of research results will be topics we will cover more closely in some of our next blog posts, as they are really exciting for wool. Another topic several presenters focused on during the Congress, was finding new product applications for wool, especially for the coarser wool types. Companies are exploring fast moving consumer goods such as wool in diapers, applications in the automotive and public transport industry as well as eco-friendly and sustainable buildings. In summary, the event was worthwhile attending, as we got many new ideas to further inspire us. As usual, it was also good to catch up with other representatives from the wool industry as well as building new connections. The next IWTO event is the Wool Round Table which will take place in Buenos Aires on 3 and 4 December 2018 in Buenos Aires. With an IWTO event so close to home, we will for sure get heavily involved in helping organise a great international wool industry event. For more information about IWTO and the Congress, visit the IWTO website.